We’d love your help. 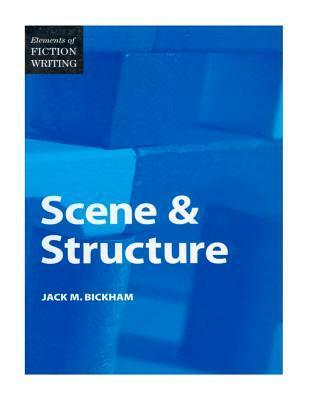 Let us know what’s wrong with this preview of Scene & Structure by Jack M. Bickham. Craft your fiction with scene-by-scene flow, logic and readability. An imprisoned man receives an unexpected caller, after which "everything changed..."
And the reader is hooked. But whether or not readers will stay on for the entire wild ride will depend on how well the writer structures the story, scene by scene. This book is your game plan for success. Using dozens of exa Craft your fiction with scene-by-scene flow, logic and readability. An imprisoned man receives an unexpected caller, after which "everything changed..."
As you work on crafting compelling scenes that move the reader, moment by moment, toward the story's resolution, you'll see why believable fiction must make more sense than real life. Every scene should end in disastersome scenes should be condensed, and others built big. To ask other readers questions about Scene & Structure, please sign up. Hear ye, hear ye: I am rereading marked passages from previously read writing books right now and writing reviews, in some cases, such as now, for the first time. I admit, I may not have reviewed this one before in a selfish, misguided attempt to keep the book a secret. I apologize. It’s a gem, one of my very, very favorite writing books. It’s nuts & bolts, baby, published in 1993, and written by an author whose 80+ novels are completely unknown to me. Furthermore, I have no intention of maki Hear ye, hear ye: I am rereading marked passages from previously read writing books right now and writing reviews, in some cases, such as now, for the first time. I admit, I may not have reviewed this one before in a selfish, misguided attempt to keep the book a secret. I apologize. It’s a gem, one of my very, very favorite writing books. It’s nuts & bolts, baby, published in 1993, and written by an author whose 80+ novels are completely unknown to me. Furthermore, I have no intention of making room for them on my to-read list. They sound like outdated crap. I paraphrase but I think Ulysses S. Grant said something about everyone thinking they can be a general, whereas most people would not presume they could command a fleet of ships because of the obvious technical knowledge and skill requirements. It’s like that with readers and writing (not that I'm saying readers can't have opinions or give 1 star reviews!). I should be an expert writer, having read so much - I even majored in it!, but you can read and read and not really notice all that much. Scene & Structure will open your eyes. If you’ve read other books about structure, books that began with a focus on cause and effect, stimulus and response, and how to use that pattern to build text, books that then explained scenes and sequels and how to link them, then you may not need this book. After those basics, Bickham explores variations and “common pitfalls”. He even makes a pretty good argument for starting with this structure even if your actual writing emphasizes elements that are more likely to result in a final product that is literary or experimental, rather than commercial. Great stuff here. Bickham takes the scene/sequel concept and goes into great detail on why and how to use it, how to subvert it, how to change things up when pace or plotting requires it, and so on. I had never fully understood the scene/sequel concept before reading this, and reading it, I underwent something of a mental shift around the concept. I think I've been inadvertently doing this wrong in a lot of my previous short stories and novel attempts, and even if I don't implement Bickham's meth Great stuff here. Bickham takes the scene/sequel concept and goes into great detail on why and how to use it, how to subvert it, how to change things up when pace or plotting requires it, and so on. I had never fully understood the scene/sequel concept before reading this, and reading it, I underwent something of a mental shift around the concept. I think I've been inadvertently doing this wrong in a lot of my previous short stories and novel attempts, and even if I don't implement Bickham's methods exactly (he wrote a lot of thrillers, and so that's the filter he views writing through), I think just knowing the concepts and keeping them in mind will help my writing. I tried out the basic structure in my latest short story, and I think it came out the better for it. This is a classic book on writing technique, focussed on writing one particular kind of book. I'd call that kind of book "action-oriented popular fiction" - basically a thriller or suspense novel. That's not to say that the techniques aren't useful for writing other kinds of books, but the less your book is like a thriller, the less useful the advice will be. I've shared extensive notes on Google+ under the hashtag "#sceneandstructure", so I won't repeat them here. However, in broad outline, Bic This is a classic book on writing technique, focussed on writing one particular kind of book. I'd call that kind of book "action-oriented popular fiction" - basically a thriller or suspense novel. That's not to say that the techniques aren't useful for writing other kinds of books, but the less your book is like a thriller, the less useful the advice will be. I've shared extensive notes on Google+ under the hashtag "#sceneandstructure", so I won't repeat them here. However, in broad outline, Bickham lays out an approach that will give you a linear story - flowing logically and naturally from a disturbing change that challenges the character at the beginning to a resolution at the end. He does this by proposing a structure he calls "scene and sequel". A scene is a moment-by-moment recounting of things that happen, starting with a character goal, moving through conflict that prevents the character from reaching the goal, and finishing with a "disaster" that leaves the character worse off than before. A sequel is about the character reacting to the scene emotionally, thinking about it, and deciding what to do next. Obviously, they follow one another neatly in alternation. This kind of stimulus/response structure also occurs at lower structural levels. It's almost fractal, though he doesn't use that word. Bickham does a beautifully clear job of explaining this, and then goes deeper, setting out how to vary the structure, how to resolve problems, and finally how to create a "master plot" to guide you through your story with the scene/sequel structure. He closes with useful appendices, giving examples from published fiction and breaking them down line by line to demonstrate his points. - I didn't care about what happened to the characters. I purchased this book 'used' as Writer's Digest has replaced it with a different book, but a friend recommended it to help me iron out some bugaboos in my writing. Unlike the newer book, the prose is denser and a bit more difficult to digest, but as my friend had promised, this older version of scene-writing was filled with lots of examples where the concepts are broken down in detail, tagged, and clearly labeled as you try to put the concepts in the book into action. It is structured like a col I purchased this book 'used' as Writer's Digest has replaced it with a different book, but a friend recommended it to help me iron out some bugaboos in my writing. Unlike the newer book, the prose is denser and a bit more difficult to digest, but as my friend had promised, this older version of scene-writing was filled with lots of examples where the concepts are broken down in detail, tagged, and clearly labeled as you try to put the concepts in the book into action. It is structured like a college textbook, with homework exercises at the end to put the information into practice. The newer WD book has examples from popular fiction, but they are not broken down nearly as much. I guess it's a matter of six of one and half a dozen of the other? The other WD book is better for skimming, while this book is better if you decide to sit down and step-by-step rebuild a chapter that just isn't doing what you need it to do. I purchased this book on a recommendation. I did get quite a bit from it though I have to admit I had a hard time following it in many parts. The information was a bit confusing at times. I guess if one can get even one thing from a non-fiction read, it was worth reading. I did enjoy reading some of the segments of the author's novels. One particular book intrigued me enough to check out the author on the web. I was surprised to find out he wrote over 75 books, and is the author of a childhood mo I purchased this book on a recommendation. I did get quite a bit from it though I have to admit I had a hard time following it in many parts. The information was a bit confusing at times. I guess if one can get even one thing from a non-fiction read, it was worth reading. I did enjoy reading some of the segments of the author's novels. One particular book intrigued me enough to check out the author on the web. I was surprised to find out he wrote over 75 books, and is the author of a childhood movie I saw, The Apple Dumpling Gang. Even more intrigued, I dug deeper and was saddened to find that he is no longer living. All in all, I would suggest this book to any struggling and or new writer. It gave me some good tips and ideas, but the read really didn't inspire me. I found it trying to be a little too prescriptive and formulaic for my tastes, and I think I would've had more confidence as a reader if the analysis was applied to a classic at times rather than a piece author's unpublished work. This book provides some nice insights on popular writing; but author Jack M. Bickham tries to boil everything down into simple formulas, and I hate formulas--which is probably why I never passed Statistics in college. There's not a whole lot that Bickham says here that you couldn't get from just picking up any best-selling novel at random and studying the author's use of structure on your own. Clear instructions on how to use the scene/sequel and stimulus/response structures in novel writing. I found this book quite useful as a novice fiction writer. Other books tend to take a top down approach to crafting a novel. This book takes a bottoms up approach, which really helped to fill in some of my knowledge gaps. Bickham talks about how to construct a beat within a scene, and ultimately how to create scenes that have good forward momentum. The foundation of stimulus-internalization-reaction and scene-sequel was enlightening to me, as it is the structure that most readers subconsciously c I found this book quite useful as a novice fiction writer. Other books tend to take a top down approach to crafting a novel. This book takes a bottoms up approach, which really helped to fill in some of my knowledge gaps. Bickham talks about how to construct a beat within a scene, and ultimately how to create scenes that have good forward momentum. The foundation of stimulus-internalization-reaction and scene-sequel was enlightening to me, as it is the structure that most readers subconsciously come to expect. With this, I feel like I now have a solid canvas to paint on, whereas before, I was writing things mostly based on feeling, which was inconsistent. This book is twenty years old and it's showing its age. Bickham spends a large portion of the message dedicated to slowing a story down. I've never heard of doing that. That's not a problem these days. This is a good book for those people who have read other books on writing, and are looking for more advanced techniques or more specific approaches. More than the simple "show, don't tell" and "don't use adverbs". This books takes more detail into the "kill your darlings" message and how to struct This book is twenty years old and it's showing its age. Bickham spends a large portion of the message dedicated to slowing a story down. I've never heard of doing that. That's not a problem these days. This is a good book for those people who have read other books on writing, and are looking for more advanced techniques or more specific approaches. More than the simple "show, don't tell" and "don't use adverbs". This books takes more detail into the "kill your darlings" message and how to structure a novel piece-by-piece, scene by scene. This book breaks it down to its molecules and restructures it back up. Once again, I found the book formulaic and unhelpful. Bickham makes it sound like plotting your book is a series of careful decisions, made one at a time. Plotting a book is generally a much messier thing (and for me, is often more of an intuitive thing). This book might have limited use in the revision process, but I only found it helpful in clarifying my thoughts against Bickham. dated at times, hard to get into (hence why on my shelves for so long) but super useful, esp. for thriller and action /adventure novelists. Includes the clearest explanation of MRU violations (motivation reaction units) since Dwight V. Swain himself, along with an inspiring explanation of scene & sequel. A must for every fiction writer. Dang, it's been a long time since I read this, but it was one of the foundation block to my journey as an author. Another excellent source to stimulate better writing. This book has a lot of good, useful information, especially chapter ten: common errors in scenes and how to fix them. But the book was a bit dry in parts so it took me awhile to read. This is a great book for seasoned authors as well as beginners. It really teaches you to make sure you have a reaction to everything in your story. It's also a great tool for building your plot. O “Elements of Fiction Writing” é uma série de livros extremamente úteis para escritores, cada livro focando em elementos essenciais da escrita. 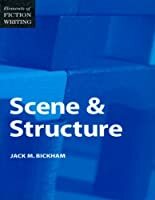 Estou lendo em ordem, e finalmente cheguei no Scene and Structure, de Jack Bickham, que apesar de pequeno, é um dos melhores e mais claros guias sobre Cena e Estrutura narrativa. A idéia por trás da coleção Elements of Fiction Writing é passar os conceitos básicos da arte da escrita, acumulados pela experiência dos escritores. Assim como uma pessoa que f O “Elements of Fiction Writing” é uma série de livros extremamente úteis para escritores, cada livro focando em elementos essenciais da escrita. 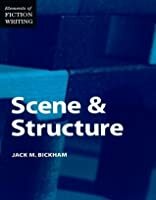 Estou lendo em ordem, e finalmente cheguei no Scene and Structure, de Jack Bickham, que apesar de pequeno, é um dos melhores e mais claros guias sobre Cena e Estrutura narrativa. A idéia por trás da coleção Elements of Fiction Writing é passar os conceitos básicos da arte da escrita, acumulados pela experiência dos escritores. Assim como uma pessoa que for trabalhar com design gráfico deve aprender conceitos como “contraste”, “composição”, “paleta de cor, de tons”, etc. um escritor só tem a ganhar ao aprender conceitos básicos como cena, sequência, conflito, estímulo-resposta, internalização, etc. De posse dessas ferramentas técnicas, o foco do esforço do escritor fica mais ligado a parte de criação e arte. O que é uma cena? Qual é o propósito de uma cena em uma narrativa? Como uma cena se posiciona dentro de uma estrutura narrativa? Qual é a estrutura de uma cena? Como se conecta uma cena com outra? Bickham responde essas e muitas outras perguntas em grande detalhe, e com exemplos práticos (que correspondem a uma grande parte do livro, e ajudam muito na compreensão). Os exemplos servem para ilustrar os princípios e técnicas discutidas ao longo do livro. Fica a recomendação, o livro é muito bom para se compreender e usar o conceito de cenas e de sequências, entre outros. * Eles, em sua maioria, são fascinados por mudanças significativas na vida dos personagens. * Eles, em sua maioria, querem uma história que comece com tal mudança. * Eles, em sua maioria, rapidamente perdem a paciência com tudo que não estiver relacionado diretamente com a “pergunta da história”. 1. Considere todos os materiais que você imaginou. Identifique, na sua história, os momentos em que as cenas importantes acontecem. Elimine tudo que não contribua para o impacto emocional e o entendimento dessas cenas importantes. 2. Pense sobre o que motiva o seu personagem, o que o incomoda, o que poderá causar a maior reação emocional nele e que tipo de vida anterior ele teve que o levou a reagir dessa forma. Planeje cenas que ataquem diretamente essa motivação, esses pontos fracos do seu personagem. 3. Identifique ou crie uma situação dramática ou evento que irá colocar o seu personagem em um momento significante e ameaçador de mudança. 4. Planeje a sua narrativa para abrir com esse evento significante de mudança. 5. Decida qual é a intenção ou objetivo que seu personagem mais importante terá para resolver a nova situação que se encontra, depois da mudança significativa na cena inicial da narrativa. Esse objetivo se transformará na “pergunta da história” , que surgirá na mente do leitor. 6. Imagine como será a jornada do protagonista para alcançar o seu objetivo principal. 7. Imagine quando e como a pergunta da história será resolvida. 8. Com o ponto de partida e de chegada planejados (ou esboçados), desenvolva as narrativas paralelas que acontecerão no meio, lembrando que elas devem sempre orbitar em torno da pergunta principal da história. A narrativa contemporânea é rápida, ágil e direto ao ponto. Sua unidade básica é o estímulo - resposta, as frases que compõe as cenas se alternam (ou deveriam se alternar) entre estímulo e resposta. Estímulo + Internalização + Resposta geram o fluxo narrativo e tornam plausível para o leitor, mantendo a suspensão de descrença necessária para se imergir em uma história. A alternância de Estímulo+Internalização+Resposta gera a “ilusão de realidade”. “Ele sacou sua pistola e deu um tiro.” (resposta). Quando a narrativa mostra “respostas” sem ligá-las a um “estímulo” claro, o leitor fica confuso e quebra a suspensão de descrença. 1. Estímulos precisam ser externos, ou seja ação, diálogo, algo que pode ser testemunhado como se estivesse sendo feito em um palco de teatro. 2. Respostas também são externas, da mesma maneira que os estímulos. 3. Internalizações, como próprio nome diz, são internas, são as emoções, os pensamentos, as sensações, que o personagem ponto de vista da cena sente em relação ao estímulo. 4. Para cada estímulo você precisa mostrar uma resposta. 5. Para cada resposta desejada (ou para cada ação do personagem), você precisa criar e mostrar para o leitor um estímulo ou uma motivação internalizada. (decisão feita a partir dos pensamentos do personagem ponto de vista). 6. Uma resposta deve se seguir diretamente a um estímulo. 7. Se a resposta a um estímulo não parece lógica na superfície, você precisa explicar posteriormente ou dar bases lógicas para a resposta antes dela acontecer. 8. O Padrão Básico é Estímulo - Resposta ou Estímulo - Internalização - Resposta. 9. Você trabalha a Internalização quando for necessário transformar uma transação (estímulo - resposta) da narrativa em algo compreensível e com credibilidade. Veja na sua própria escrita. Cheque cuidadosamente para ter certeza que você está mostrando as causas para os efeitos desejados, e está mostrando os efeitos de causas que já apareceram em momentos anteriores da narrativa. Para cada estímulo, você mostra uma resposta? Para cada resposta, você mostrou um estímulo externo e imediato? Em transações complexas, em momentos complexos da narrativa, você passou informação para o seu leitor por meio de uma internalização explicativa? Internalização é o monólogo interior, os pensamentos, emoções e reações internas do seu personagem POV (o que tem o Ponto de Vista narrativo da cena). Existem tradicionalmente dois tipos de elementos narrativos básicos, as Cenas e as Sequências. CENAS são os momentos EXTERNOS em que o protagonista está ativo na trama, onde ele age no mundo em sua volta em busca de um objetivo. O foco de uma Cena está na interação do personagem com o mundo ao seu redor. Podem e devem conter internalizações curtas, mas o foco está nos eventos externos. SEQUÊNCIAS é a reação INTERNA ao que aconteceu em uma Cena, uma reação interior, ou uma verbalização de um processo interior de reação, entendimento, reflexão e criação de um novo objetivo. É o momento narrativo que o personagem reage ou digere psicológicamente o que aconteceu na Cena. É uma internalização extensa. As Sequências são bons momentos para se colocar um flashback (uma cena que se passa no passado) ou um backflash (uma frase que alude rapidamente a eventos no passado). Sequências podem (e devem) conter eventos externos, mas estes são curtos ou servem apenas de base para a sequência (por exemplo, uma sequência clássica é o protagonista confessando seu drama interno para um amigo íntimo, a conversa é uma ação externa mas o foco narrativo está nas reações emocionais e posteriormente racionais do protagonista ao que acontece nas cenas anteriores). Além da Cena e Sequência, temos CENAS DE PREPARAÇÃO (partes de Cenas onde se prepara o conflito, criando o background necessário para que o impacto emocional do desastre ou complicação no final da cena seja enfatizado) e TRANSIÇÕES (parágrafos que estabelecem transições de tempo e espaço entre as Cenas e Sequências, normalmente feitos em sumários narrativos. Essa declaração é normalmente feita pelo personagem mais envolvido no conflito da cena. Exemplo: A cena começa com um personagem gritando "eu vou te matar! ", claramente mostrando o objetivo principal do conflito central da cena. Existem milhares de formas de mostrar ou declarar o objetivo de uma cena. 2) Introdução e desenvolvimento do conflito central da Cena. Esse é o coração de uma cena. Enquanto houver conflito, a cena mantém o interesse do leitor e mantém sua tensão. No momento em que o conflito é resolvido, a cena se encerra. O conflito deve ser mantido em uma crescente de dificuldades para o protagonista, uma crescente de complicações. 3) Falha, complicação final, desastre, uma vitória parcial, ou outra variação que leva a trama adiante. É o que acontece com o personagem em sua tentativa de atingir o seu objetivo na cena. Ao criar cenas é importante considerar os objetivos dos personagens envolvidos em uma cena, os ângulos do conflito (os diversos interesses envolvidos no conflito de uma cena), e a natureza da complicação que fechará a cena, e a direção que essa complicação dará para a narrativa. 1) O objetivo das cenas devem estar relacionados com a questão principal da narrativa. 2) O conflito de uma cena tem que estar relacionado com o objetivo do protagonista nessa determinada cena. Se o objetivo do protagonista em uma cena muda, o conflito deve mudar de acordo. 3) O conflito em uma cena deve ser com outra pessoa, ou outro elemento externo. Conflitos internos acontecem em sequências ou são apenas pontilhados em uma cena por meio de internalizações curtas. Quando essas internalizações aumentam de tamanho, uma sequência se inicia dentro de uma cena, o que torna a narrativa mais lenta (mas que pode aumentar o realismo psicológico, caso seja necessário). 4) Cenas não podem ser planejadas isoladamente, elas devem estar integradas com suas sequências e com toda a narrativa. 5) O melhor é manter um Ponto de Vista por cena, para evitar confusões na leitura. Como toda regra de narrativa, existem exemplos de grandes mestres da literatura que quebram essa dica, mas eles assim o fazem com algum objetivo específico e contextualizado na narrativa. Uma cena com muitos personagens envolvidos, tende a diminuir o conflito. O melhor conflito é entre duas pessoas, ou, se houver muitos personagens em uma cena, usar de artifícios para centrar o conflito entre dois personagens mais importantes para a cena. O conflito tem que ser resolvido, de uma forma ou de outra, de preferência, causando complicações para o protagonista. Se o conflito chega a um impasse e a narrativa fica apenas repetindo o conflito, a trama para e a cena perde o seu sentido dentro da narrativa. 2) Perder o foco da cena. Um conflito por cena é o ideal. 3) Antagonista sem motivação em relação ao conflito principal da cena. 4) Discórdia sem base lógica dentro da narrativa, o famoso “discordar por discordar”. 5) Desastres ou complicações do final da cena que são “forçadas”, ou causadas por algo que não tem relação direta com a cena. 1) Reação emocional e física ao que aconteceu na cena. 2) Reação racional, dilema, busca de um novo objetivo, de uma solução para superar o desastre ou complicação causada pela cena. 3) Criação de um novo objetivo, cuja busca irá gerar uma nova cena. Uma sequência começa para o seu personagem POV no momento em que uma cena termina. Atingido pelo desastre ou complicação do final da cena, o personagem reage emocionalmente, seguido mais tarde por um período de reflexão, que pode, cedo ou tarde, se transformar em uma nova decisão, em um novo objetivo que o levará a uma nova cena. Cenas são excitantes, cheias de conflito, ação, diálogo, ou seja, de leitura rápida. Mais cenas deixam o livro de leitura mais rápida e excitante, porém as sequências são necessárias para dar mais profundidade psicológica aos personagens e aumentar a plausabilidade da história. Sequências, por outro lado, são reflexivas, psicológicas, emocionais, podem ou não conter memórias, considerações, ter sumários narrativos expositivos etc. As sequências tornam a leitura mais lenta, mas servem para aprofundar na caracterização e dão mais realismo psicológico para a história. O segredo é equilibrar Sequências e Cenas dentro da proposta da narrativa. Narrativas de ação, por exemplo, tentem a ter mais cenas do que sequências, e as sequências, quando aparecem, são curtíssimas, servindo apenas para que o protagonista tome fôlego para uma nova cena. Romances mais literários (por exemplo, livros da Clarice Lispector), costumam possuir mais sequências do que cenas, muitas vezes porque o foco narrativo está na exploração da psicologia dos personagens. Cada escritor deve dosar cenas e sequências em suas narrativas. Se a história está rápida demais, aumente as sequências. Se está arrastada e lenta, diminua as sequências e crie mais cenas. Os escritores tendem a variar e a elaborar estruturas complexas com esses elementos, por exemplo combinando duas cenas e suas sequências em uma unidade narrativa, criando cenas que acabam sem que o conflito principal esteja resolvido, colocando mini-sequências dentro de uma cena, criando uma narrativa externa (o que acontece do lado de fora do personagem) e uma narrativa interna (o que acontece do lado de dentro do personagem), etc. Quanto mais terrível for o desastre no final de uma cena, mais desenvolvida terá que ser sua sequência; pois o personagem terá que fazer uma jornada psicológica mais profunda, para se recuperar da gravidade do desastre, se reestruturar e criar um novo objetivo. 1. Tenha certeza que o objetivo da cena seja claramente relevante para a narrativa e esteja ligado à pergunta principal levantada pela história (a pergunta da história, por exemplo, no Senhor dos Anéis, é “Será que Sauron será derrotado?” e as cenas da saga, de um modo ou de outro se ligam a essa pergunta). 2. Declare por meio da narrativa, a relevância da cena descrita. Quanto mais claro melhor! 3. Tenha certeza que você passou para o leitor as motivações do personagem antagonista de uma cena, ou faça que o antagonista declare sua motivação (ou demonstre) logo no começo de uma cena. Observe esse padrão em filmes e livros, e veja como diferentes autores lidam com o antagonismo em suas cenas. 4. Busque sempre novos ângulos em um conflito de uma cena, novas formas de complicar e aumentar a tensão de uma cena. 5. Reflita e trabalhe a complicação ou desastre que encerrará a cena, buscando surpreender o leitor ao mesmo tempo que se mantém coerência narrativa. Faça uma lista de várias formas de complicações diferentes para encerrar uma cena e escolha a que vai causar mais dificuldades para o protagonista. Provavelmente será a que vai causar mais surpresa para o leitor. 6. Diálogo é uma ferramenta para criar conflitos em sua narrativa. Conflitos e como seus personagens reagem a eles é uma ferramenta de caracterização. Use-os! 7. Lembre-se, ao construir o conflito dentro de uma cena e planejar o seu desastre, de que as pessoas não são completamente racionais, especialmente em situações de estresse. Faça o seu antagonista perder o auto-controle ou fazer algo que seria loucura em outras circunstâncias. Pense sobre esse personagem que você construiu e se sua loucura parece estar “dentro do personagem”, se está contexualizada na cena, e depois pense se ele pode cometer algum erro estúpido. Os personagens de sua história, mesmo nas cenas mais difíceis, não devem ser robôs racionais (a não ser que isso seja a definição do personagem). Seres humanos são incoerentes, imprevisíveis, principalmente em situações de conflito. 8. Ao revisar uma cena, sempre pense em como você pode aumentar o seu impacto na narrativa, pense se ela está desenvolvendo personagem, avançando a trama ou compondo e reforçando o tom e o tema da narrativa. Uma cena deve sempre trabalhar um ou mais desses elementos. 9. Nunca deixe seus personagens relaxarem em uma cena, mantenha sempre a tensão, a ansiedade do resultado, o conflito que mantém o seu protagonista lutando, buscando, enfrentando, agindo dentro de uma cena. Transição é uma declaração direta ao leitor indicando uma mudança de tempo, lugar ou ponto de vista da narrativa, ligando uma cena a outra, ou uma cena a uma sequência. Por exemplo “três horas mais tarde, na delegacia do Delegado Gordon…”. Transições podem ser simples ou complexas, podem intercalar cenas ou acontecer dentro de uma cena, ligando dois momentos diferentes. São cenas que não possuem conflito e que servem apenas para caracterizar, e criar um background para o conflito principal de uma cena futura. Um exemplo clássico é a série de mini-cenas de um casal de namorados passeando em vários lugares, trocando juras de amor e carinhos, que serve para aumentar o impacto emocional de uma cena de separação, que acontecerá mais tarde. Uma dica com Cenas de Preparação é que devem ser curtas, ou conter mini-conflitos não tão relevantes assim e que sirvam apenas para caracterizar ou reforçar tom e tema da narrativa. O melhor lugar para encerrar um capítulo é no final de uma cena, no desastre ou complicação que encerra a cena. Outra opção é encerrar um capítulo no final de uma sequência, onde o personagem conseguiu criar um novo objetivo que dará prosseguimento a trama. Não existe nenhum padrão para o tamanho de capítulos. Alguns escritores gostam de capítulos curtos, para serem lidos em uma sessão de leitura de 20 minutos. Outros preferem capítulos mais longos. O importante é manter um senso de narrativa, os capítulos devem dar o ritmo e manter o leitor querendo ler mais. This book breaks down the fundamental units of storytelling pacing—scene and sequel—and presents them in an easily understandable manner. Writers who want to improve the flow of their writing will find Bickham’s advice useful, however, the information is far more expansive than this. Scenes and sequels keep the story moving in an efficient and effective way. Using these to their best advantage helps maintain reader attention by alternating between action and reflection. Scene and sequel take on d This book breaks down the fundamental units of storytelling pacing—scene and sequel—and presents them in an easily understandable manner. Writers who want to improve the flow of their writing will find Bickham’s advice useful, however, the information is far more expansive than this. Scenes and sequels keep the story moving in an efficient and effective way. Using these to their best advantage helps maintain reader attention by alternating between action and reflection. Scene and sequel take on different jobs as a story unfolds—gripping the reader at the beginning, keeping tension up in the middle, and offering a satisfying resolution at the end. It also helps ensure that both hero and villain have clear motives. The book does get dense in parts, but the examples help to iron out confusions. I personally like this book because it portrays the formulaic side of writing without applying strict rules. Storytelling has a natural rhythm that can be manipulated and exploited for effect. Bickham shows writers how to recognize and utilize these rhythms to achieve the desired effect. It also addresses common writing structure pitfalls and how to avoid them. I would recommend all writers have a dog-eared copy of this book on an easy-to-reach shelf. Two takeaways up to the point: there are lots of books on plot, few on the actual construction of how to make said plot. For every 15 books that muse, there's one that treats you like a person with a job trying to grow your knowledge. Thank God this is the latter, and in an absolute zero frills method SCENE & STRUCTURE gives a writer learning the craft of writing a great scene some meat and potatoes. I was feeling SOL before this book in getting a good grasp on the dramatic unit - brick in th Two takeaways up to the point: there are lots of books on plot, few on the actual construction of how to make said plot. For every 15 books that muse, there's one that treats you like a person with a job trying to grow your knowledge. Thank God this is the latter, and in an absolute zero frills method SCENE & STRUCTURE gives a writer learning the craft of writing a great scene some meat and potatoes. I was feeling SOL before this book in getting a good grasp on the dramatic unit - brick in the wall - that are scenes. Why is the fundamental component of modern fiction have a blank spot on the bookshelf, while three million books on the muse are ready to fill any wordless hack with the solid form of passing gas. The basic concept it focuses on is "cause and effect". Make sure everything in your plot follows logically from previous elements. Build your story and your scenes step by step. i.e. make sure there is a goal for each scene, and that that goal advances the goal of the chapter which in turn advances the goal of the entire story, etc. This is good advice, and eye-opening if you didn't consider how to structure a scene before, but it quickly gets extremely tedious once he gets into the details. Now, I The basic concept it focuses on is "cause and effect". This book never seemed to end for me. Though the topic was one worth exploring, I remember feeling like the author repeated the same information a lot. To be fair, though, it could have been where my mind was at at the time that made me feel that way, so I'll generously add a third star. Good Information but the reading was very tedious. Considered repeatedly to quit but finally fought my way through, felt like wading through a big, though. I bought this because somebody advised to read this before Swain's book, and I'm glad I did. It's a quick read that gives good insight into using scenes and sequels.